As a helpful commenter pointed out (thanks Moneymaker! 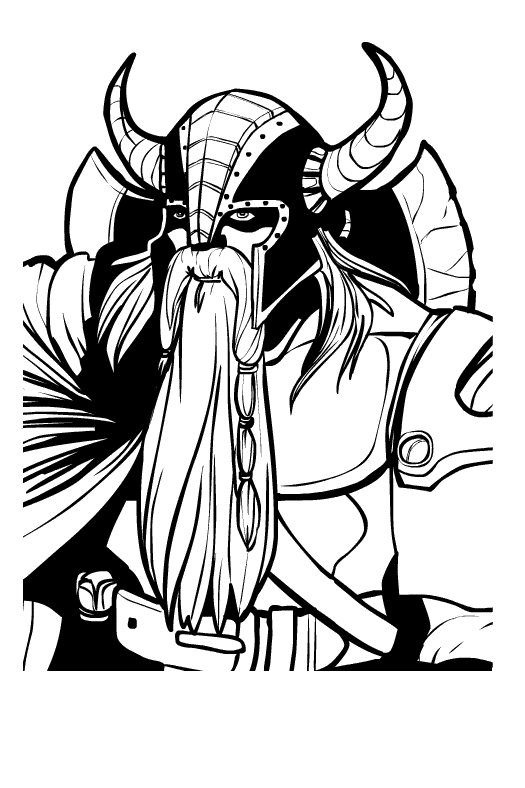 ), the helmet on that dwarf warrior I posted the other day wasn't quite right. It was bugging me, even though these are supposed to just be relatively quick, non-worked-over sketches, so I fixed it. Updated version after the jump. Now THAT my friend, is what I’m talkin’ about! Awesome. Aye, ’tis a fine hat.